SGRRIM&HS is stretched over a gigantic 30 acres of land. 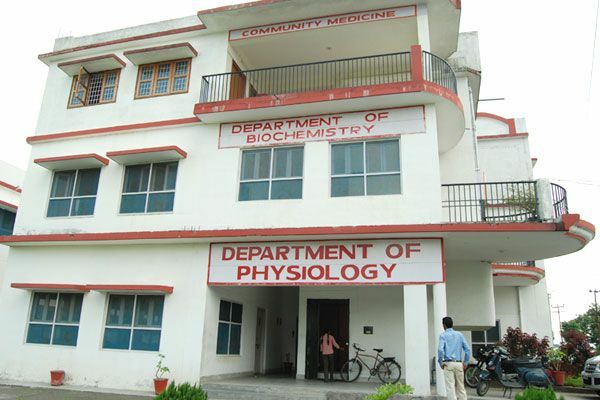 In the medical college, presently 5 batches each of a 100 MBBS students are in progression. The institute has also got approval from MCI to start Post graduation courses (MD/MS) in pre and para clinical subjects. A team of dedicated and learned faculty makes this institution a centre of excellence for medical education. Lecture theatres, laboratories, museums and dissection hall are all fitted with the utmost modern equipments to facilitate learning in students, so as to enable these apprentice doctors to deal efficiently with delicate human machinery in future. All departments comprise of computer facilities including a campus wide LAN internet system. Students have been provided with very comfortable hostel and mess facilities. They are always encouraged to avail facilities of the central library, sports and to participate in extracurricular activities of the college. Students along with faculties are also, taken to visit remote villages to impart community health services, regularly. Spacious and well ventilated residences of the faculties within the beautiful surrounding of the college campus make a contented stay.